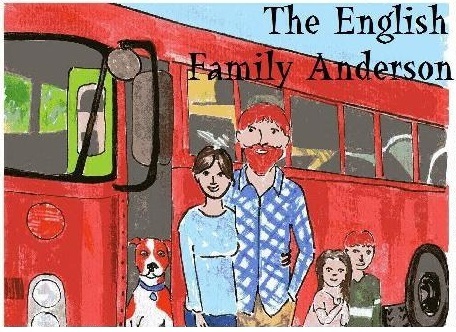 COMING SOON: The English Family Anderson episode 3! Remember the home-schooling vegan self-sufficient family living in a bus? Remember the dad got sacked for tossing the pheasant-shooters’ shotguns into wet cement? Remember the court told him to pay for new guns and he said “NO!” and the whole family took to the road? This entry was posted in Comics and tagged children, children's story, Comics, e-comics, home-school, red bus, self-sufficiency, vegan, vegan children, vegan children's story, vegan comic, vegan comic for children, vegan e-comics, vegetarian, veggie kids. Bookmark the permalink.